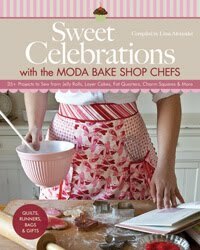 Check out my latest project posted on the Moda Bake Shop! Hi, I am Stacey and I live in Maine with my husband of 8 almost 9 years, and our four kids, two girls ages 10 and 6, and two boys ages 3 and 1. I like to read, quilt, knit. I am a totally newbie to quilting. but I totally love it!! I am a sahm. my husband has his own cabinetry and woodworking business that he started last year. i have 4 kids so my clothes are really old and ratty. but that's alright!! Hi...I'm Sherri and I live in Logandale Nevada...I was born in Texas, grew up in Las Vegas and lived in Utah and California as well. I'm married and have 4 great kids...and quilting is my passion. I taught college English before my third child was born. I'm Sarah from Cincinnati. I have one daughter (almost 3) and a son who will be arriving in a few months. Sewing has become increasingly important to me this past year and I now have a permanent sewing space in my home (yippee!). Hi, I'm Jackie and live about 70 miles west of St. Louis, MO. 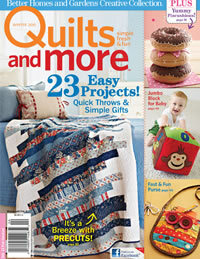 I am a longarm quilter and also enjoy piecing quilt tops. 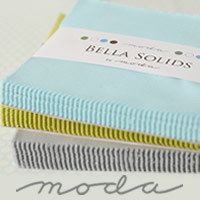 I'm also a big fan of Moda fabrics especially the pre cut jelly rolls. Hi my name is Molly. I live in Utah. Always have always will. I have two kids: girl 5 and boy 2. I am a professional machine quilter who doesn't have enough time to make projects of my own. My name is Omajean and I live in Auburn, AL. I have lived on both coasts and in the middle (San Diego, Jacksonville,FL & Waco)of this great country. I love to quilt, crochet, knit and do hand embroidery. I have 4 children,two grandchildren and 3 pets (now elevated to the status of children --a black cat named Hallie, a blue heeler named Jasmine and a miniature daschund we call Titus.) My youngest son is in Iraq right now and we really miss him. I work full time and sing in our church choir which does limit my sewing/handwork time. Quilters are the nicest people in the world!! Hello. This nap sack is the cutest thing! I've got a couple of girls that would LOVE to take naps in it! ;O) My name is Anne and I have 6 children. Two grown boys that are off in the world, a 12 year old girl and three girls adopted from China, ages 8, 6 and 3. My girls are the light of my life and we are together 24/7. We homeschool, love to travel and love to create! Thank you for the opportunity! Well, Hello there. 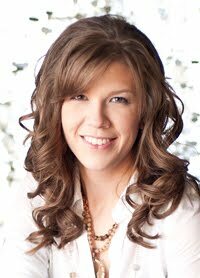 I'm Heather Diane and I grew up in sweet Sugar City, Idaho. I have 3 tots and a dear husband who endure all my emotions. I love to be organized, but right now my home is a disaster. Two moves and a baby in 6 months brought that on. So yeah - here I am! Great giveaway. What a fun idea. Ooh! I marked this project in google reader yesterday! Anywho, my name is Michelle, I was born & raised in Nebraska, but now live in LA. I am mother to 2 furry 3-year old cats, and wife of Steve. I'm fairly new to quilting and sewing, all of my friends think its a quirky hobby, until I make something that benefits them. OK, I'll play! 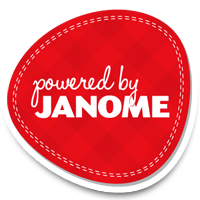 I'm Joanna and I was born and bred in New Zealand but now live in New Hampshire by way of Utah! 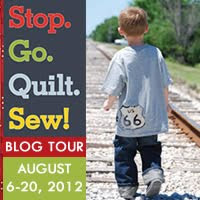 I am a SAHM to 3 kids, and have been obsessed with quilting for 16 years now! Love the napsack! Only problem if I were to win it, is that my kids will all fight over who gets to use it....until I push them all out of the way and say it's mine - allllll miiiine!!! LOL! Hi, I am Deb and I live in Christchurch, New Zealand (right at the bottom of the globe lol!) Love to do redwork (in all colours) and patchwork (don't like the quilting part!). I have three big kids and about to have number four in a few weeks at the grand old age of 40!! I'm Christina and I live in Illinios--it's freezing here! I just moved here 3 years ago and I'm still adjusting. I just found out we're pregnant with our first and I'm having so much fun dreaming of sewing projects that I haven't actually gotten around to many of them yet. Hi! I am Richelle and live in Allen, TX. I was born and raised in Alaska and yes, I went to high school with Sarah Palin. Not sure if I should really admit that or not, but it is my slight brush with fame. 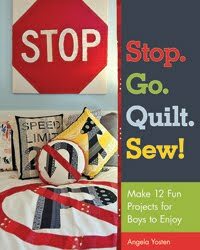 I have three boys who love every quilt I make - they are so great! 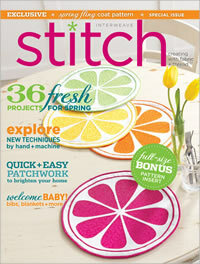 I love traditional designs, applique, and stitchery. I also am a longarmer. My favorite place to go a few times a year is the United Notions warehouse to stock up on everything! Hello! My name is Sarah and I live in Indiana. I have an amazing husband, a cat, a dog, and a crazy passion for creativity, graphic design, and sewing. 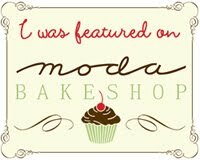 I'm excited that you work from home for Moda and I would love to know how I could become a part of that whole thing! What exactly do you do for Moda? 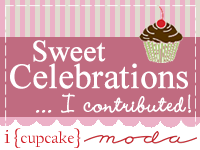 Have a wonderful day and thanks for following my blog! Hi! I'm Kathy, from Pennsylvania. All my life. I'm 52, married to my HS sweetie for 33 years, have a son 26, lives in Vermont, and son 25, lives in Maine. DH and I want to retire ASAP and move to New England to be closer to our guys. I work in our local HS office, 20 years...so I come home from the office and quilt, sew, do stitchery, x-stitch, and hook rugs. I love working with wools, too. I want a puppy! My name is Mary and I live outside of Minneapolis in a small town. I have lived within 20 miles of here all of my life. I have two married children and my husband has two married children and we are anxiously awaiting grandchildren since we retired nearly three years ago. Quilting is my passion. Hi, I am Dawn from Logandale, NV. I was born and raised in Las Vegas, NV. I am married and I have two fantastic kids. I love quilting, but my family is my passion. Thanks for the giveaway...my fingers are crossed!! Hi, I am Jennifer and I am a newlywed who lives in Round Rock, Texas and is working on my PhD in Computational and Applied Mathematics. I love sewing, couponing, and gardening, and am loving life with my husband and two dogs. Hello! I'm Deanna and I live in Davenport, Iowa. I'm married with one daughter, Aubrey who is six. I'm a work-out-side-the-home-mom but still like all things fabric!! Since my daughter doesn't like me to sew for her as much anymore I've been able to get back into my quilting! I would rather be doing that right now instead of working! Hey! I'm Camille, an Idahoan transplanted in Las Vegas. Love it here! 2 boys, a husband, and I have an addiction to fabric and dr. pepper. And also, I really want to make these for my boys. They would LOVE them! You are awesome! Hello, my name is Carol. I live in Glendale, AZ with my husband and 2 boston terrier dogs. My littlest dog, still a puppy is named Betty. I just love that there is a cute new fabric called Hello Betty. 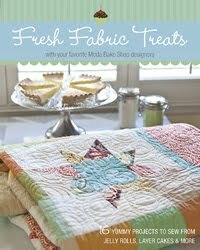 I love to quilt and I love the new fabrics coming out all the time. 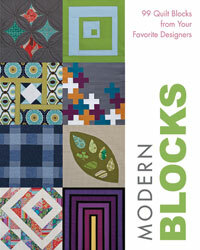 Moda always is coming out with fabrics that i simply must have. ah! that was your idea? I LOVE IT! 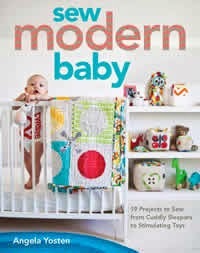 i'm vanessa, sahm who obesses over moda fabric, have 4 little ones, i love to create and i love to put fabrics together, originally born and raised in california but for the past little while live in utah. please pick me and i will forever love you. Well hello there! My name is Brooke. I live in Utah and am a SAHM of 4. Three little girls ages 7, 5, and 3; and one little boy who is 10 months. I am 29 years old and, unfortunately, don't know how to sew anything but a straight line. But I'm working on that. My mom works magic with a sewing machine but I didn't stand in that line in heaven, darn it! I love all things crafts but am usually too intimidated to try them. This is probably way more than you wanted to know but, pretend. Something interesting about me is that I can't eat plain M&M's unless I microwave them first. Silly I know, but it's true! I hope I win! 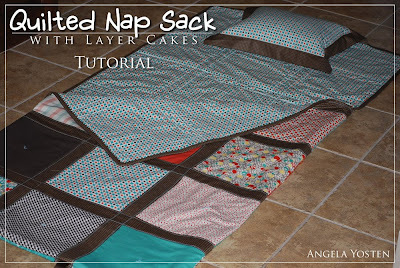 I love the nap sack - perfect for preschool. I'm Angie, from Idaho currently living in Hawaii. (2 very different places) Only recently have I been introduced to quilting and moda through Camille's blog and I am excited to get started. I love seeing all of the great ideas out there and am addicted to tutorials. I hope I can work up the courage to try them on my own. Thanks! I am Stefanie (your quilt buddy) and I currently live among the "beautiful" people of southern California but I will be moving to the Depp South shortly. I am a SAHM to one very busy "little person"
I am a shoe addict! They must be RED and by a certain designer. Plus all of my purses are RED. To me, RED is always in style. I am also addicted to Diet Pepsi. Yes, there is a difference to me! Every night before going to bed, I MUST put everything back in its place, including the dishes and toys. I think they call this OCD! Then I spend the night in front of my sewing machine or watching TiVo. I love your work!..and Moda too! hi i am abby, my mom posted above, and she said i could enter i live in Maine, i am 10 years old, i have three younger siblings that annoy me. i keep asking my mom to enter me into contests, so, here is my first one, I hope i win! Good Morning, My name is Fiona I live Central NSW, Australia. I started sewing again 3 1/2 years ago and there is no stopping me now. I have two children (17 & 14 1/2) I have a new wonderful partner who drives truck and works away all week. Hi, I am Melisa and live near Atlanta, GA. I am a native Georgian, wife of 25 years, mom to 3 boys, 3 DDIL and 4 wonderful grands (plus 3 grand-dogs!) 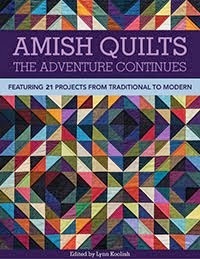 I own a quilt shop near Atlanta, am a classic Type A personality and a chronic insomniac. I am passionate about my family, my business, quilting and knitting. Hello! My name is Mandy and I am a scatterbrained mom of 4, that might just walk out of the house without my head if my husband wasn't there to remind me to put it on. Love him for that. :) I am an Arizonan at heart but have been transplanted to Utah for the time being. 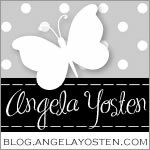 I love crocheting, and cross stitching, I am excited to have found all these quilting blogs so I can start learning a new craft! 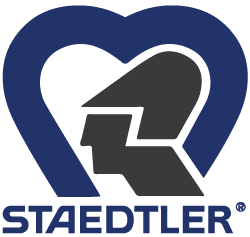 Love your site...seriously...Love it! Ciao! I'm not Italian but I learned it at college. I grew up in Western Canada, met my husband in Boston and currently reside outside Chicago with three little girls - 6,3,1. I like singing, using the snowblower, mowing the lawn, sewing and cooking. Hi! I'm Chantie, and I live in sunny St. George, Utah. I have a wonderful husband and an eight-year-old daughter and a five-year-old son! I am so lucky that I get to stay home, and spend some (probably more than I should!) of that time quilting. I'm addicted to it! Something else I'm hooked on is shopping anywhere! Hi! My name is Jessica, I was born & raised in Portland, OR, but now live in Texas....moved almost 6 months ago!! I'm a stay at home married mama with three kiddos. I LOVE photography, scrapbooking, sewing, etc! I love creating things and having fun in the process. THANKS SO MUCH FOR THE GIVEWAY....it's SO awesome!! !